The Exploratory | STEM+LOVE=A better world » The first Junior Experimenters of Science (JUNEOS) contest! 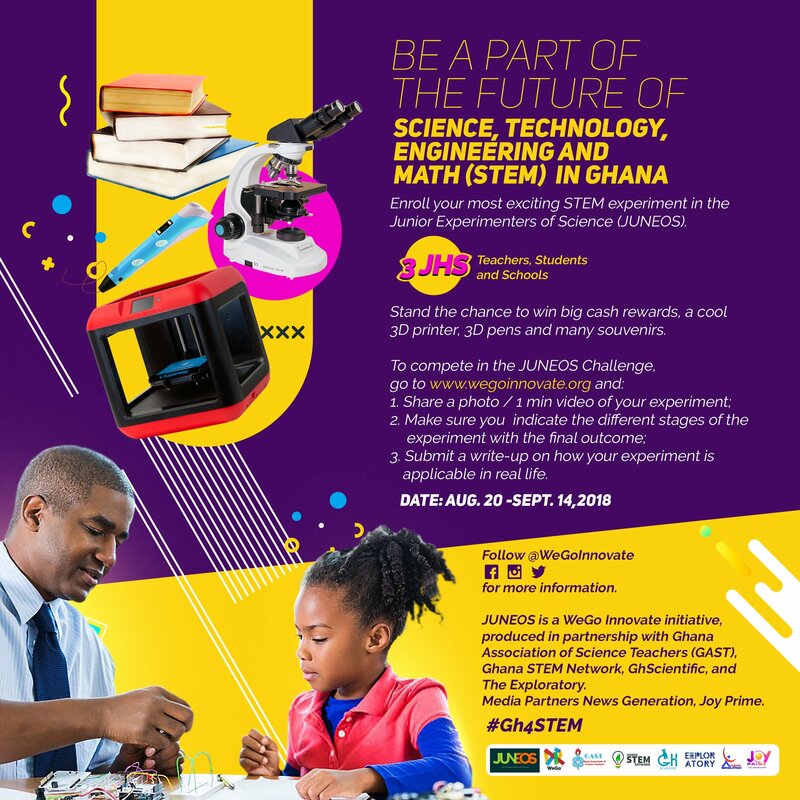 Calling all Junior High teachers in Ghana! Here’s a chance to showcase you and your students’ creativity for hands-on science practicals! Submit a preliminary photo or video to be considered for a filmed spot when the term begins, to appear on JoyPrimeTV and to compete for prizes! Show your colleagues and the world how relevant and relatable science can be!